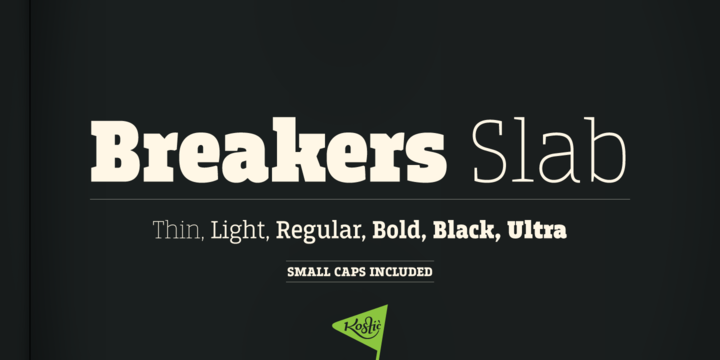 Breakers Slab is a typeface created by Nikola Kostic and published by Kostic. It is a versatile typeface, companion to the font Breakers. The strenght of this font is in headlines and legible in text. A font description published on Wednesday, November 21st, 2012 in Fonts, Kostic by Alexandra that has 4,946 views.